(29 October 2016) Here is a suggestion that your advanced planning should include obituary material. We write wills, medical directives, and even long autobiographies. But though an obituary, or obit, we can share our lives and days in USIA/State with our family, friends, and former colleagues. Newspapers may not carry extensive obits, and a lengthy paid obit is expensive. But in this technological era, emails, social networks, and the web can be channels to share your life story. There are some misconceptions about newspaper obits. You have “news obits,” written by the paper with information supplied by the family, and secondly, the paid “death notice,” which includes funeral and memorial information, and can contain biographical details. Death notices are billed by the column inch, the days of the week, and other features. But, for some, the price may be too expensive for a lengthy item. Your family would have the option of publishing — and paying for — any biographical or personal information included in a death notice. Similar obits with biographical information are found on funeral home Web sites. This is a call for USIA and State PD staffers to write or compile information about their lives and careers, so survivors would have complete and accurate information for publication. It is important that you briefly record the details of your life as a reference source for your family. I have seen many examples of published obits that are lacking in details or accuracy about a person’s life and career. In another era, a family member would call a newspaper and supply information about the deceased to a reporter who wrote the obit. Times have changed. The Washington Post now has an obituary form on its Web site — washingtonpost.com/obituary-submission. Since most of you have served in Washington, you should be aware of the Post caveats. “The Washington Post publishes news obituaries about people who had a major impact on the Washington region and beyond. To be considered for an obituary, local residents must have lived here for at least 20 years and for more years than they lived elsewhere. “While we cannot guarantee the publication or length of a news obituary, we welcome all submissions.” Death notices in the Post start at $135 a column inch, per day. The Post’s subject boxes in the form, are a good guidelines for the material that should be gathered for future use. They include: birthdate, place of birth and residence, education, military service, work history, accomplishments, honors and other information, plus group membership and volunteer work. The Post asks for specific information about the diseased such as date and cause of death, and is interested in Washington area activities. I would add information about interests and hobbies, and activities in retirement. You should check with newspapers in your region, if outside the D.C. area about their news obit policy. 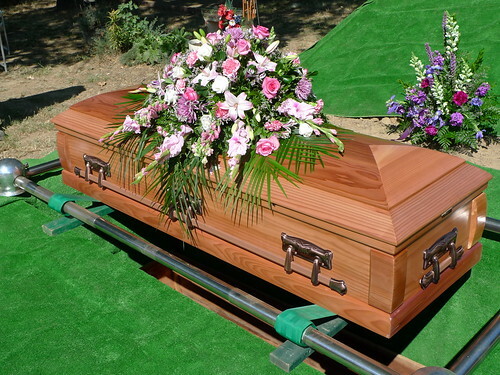 Funeral homes should aid in preparing paid death notices. Both the State magazine and PDAA Today carry brief obits of less than a hundred words. The PDAA Today In Memoriam column also carries short item on the deaths of spouses of those in the USIA/State PD community. Below are samples of news and paid obits, pieces written by family members, and an “In Memoriam” items. One obit — for Irving Sablosky — is a fine example of what information should be gathered. It was written by his wife Juliet, a retired USIA FSO. Remember that news obits are written by staff writers, and their length and contents depends on the judgment of the paper. Please share this PublicDiplomacy.org article on obits with former colleagues who are not in PDAA. Robert E. Hartland, a former chief of the Africa branch at the U.S. Information Agency’s Office of Research, died Oct. 28 at Sibley Memorial Hospital’s Renaissance skilled nursing center in Washington. He was 93. The cause was a heart attack, said his wife, Dorothy Hartland. Mr. Hartland, a Chevy Chase resident, worked in the Army Department’s Office of Psychological Warfare in Washington before joining what is now the USIA’s Office of Research in 1955. He became the chief of the office’s Africa branch in 1973 and retired from the USIA in 1980. His speciality was African and Middle Eastern affairs. After retiring, he spent about 10 years as a State Department consultant working on Freedom of Information Act requests. Robert Ernest Hartland was born in Rutherford, N.J., and raised in Brooklyn. During World War II, he served in the Army in Europe and North Africa, and his military decorations included the Bronze Star Medal. He was a 1948 international relations graduate of Harvard University. Mr. Hartland studied at the Osher Lifelong Learning Institute at American University and was a member of the International Churchill Society, an appreciation group for former British Prime Minister Winston Churchill. Survivors include his wife of 57 years, Dorothy Hill Hartland of Chevy Chase; three children, Jessica Hartland of New York, Heather Steele of Chevy Chase, and William Hartland of Brooklyn; and four grandchildren. Passed away at his home on Saturday morning, June 11, 2016. He was 82 years old. Born and raised in Louisiana”s Cajun country, Bill majored in English at Loyola University of New Orleans and received his PhD in Literature at the University of Pennsylvania. He taught for several years at Bryn Mawr College and Northwestern and Fordham Universities. In the late 1960”s, Bill was awarded Fulbright Fellowships to teach in Czechoslovakia and Romania, after which he joined the U.S. Foreign Service. He served in Romania, India and Indonesia as a cultural attaché. Later, as a senior officer, Bill served in the Netherlands, Zaire and Washington, D.C. Bill retired from the Foreign Service in the late 1990”s, settling in NW Washington DC. He traveled extensively and was active with several philanthropies. Bill”s 82 years on earth were rich in accomplishments, adventures and most of all, friendships. A memorial service will be held in Louisiana at a later date. In lieu of flowers, the family asks that donations be made in Bill”s name to the International Book Project; The LaSalle Academy (Development Department) in New York City; or College Bound. Robert A. Rockweiler, 88, of New Smyrna Beach, Florida, a senior foreign service officer with the U.S.Information Agency (USIA) died May 30th, 2016. He was born in Cazenovia, Wisconsin, and graduated from the University of Wisconsin in 1950 with a major in Hispanic Studies; after which, he served with the U.S. Army during the Korean conflict. He then earned a Master’s degree from Columbia University in Educational Administration. For three years he taught Spanish and coached track at Bloomfield senior High in Bloomfield, N.J. before joining the foreign service. He is a graduate of the Senior Warfare course at the National War College in 1970 where he also received a Master’s degree from the George Washington University in International Affairs. Rockweiler joined the USIA in 1956. He married Vivian Schleicher at the Monticulo Catholic church in La Paz, Bolivia, on June 15, 1957. Inspector in the Office of the Inspector General. He was a member of the Senior Foreign Service. Two infamous next-door neighbors, both unelected presidents, punctuated his overseas experience – Uganda’s Idi Amin and Panama’s Manuel Antonio Noriega. In retirement, he taught English as a Foreign Language at The George Washington University and Georgetown University. He continued to travel widely, having visited over one hundred countries. He also developed a web site which detailed his family history and genealogy, going back to the early seventeenth century in Switzerland. him as did his beloved wife Vivian. Irving Lee Sablosky died at home in Washington, D.C. on August 3, 2016 surrounded by his loving family. Born in Indianapolis in 1924, Mr. Sablosky served in the U.S. Army, 1943-45, in the European Theater. He was taken prisoner in the Battle of Bulge in December, 1944 and spent the remainder of the war in a German POW camp. Returning to Indiana University after the war, he received his Bachelor of Music degree in Composition (With Honors) in 1947. In 1963-64, he pursued graduate studies in American History and Literature at the University of Chicago under the auspices of the U.S. Information Agency. Upon graduation from Indiana University, he served as music critic for the Chicago Daily News for ten years. His reviews ran the gamut from Maria Callas to Elvis Presley’s Chicago debut. While in Chicago, he taught a “History of Music Criticism” course in the Graduate Division of DePaul University School of Music and wrote and presented radio programs on WFMT Chicago, including “Music Now—and Then,” a series of 12 hour-long broadcasts that were later rebroadcast by member stations of the National Association of Educational Broadcasters. Mr. Sablosky joined the U.S. Information Agency in 1957, serving overseas in Cebu, Hamburg, Bangkok and lastly as Cultural Affairs Officer in London. His Washington assignments included: Associate Editor of Dialogue magazine, Planning Officer in the Policy and Plans Division, and Policy Officer in the European Area Office. During his academic year at Chicago, he began work on American Music (University of Chicago Press, 1969), a volume in The Chicago History of American Civilization edited by Daniel J. Boorstin. This book was later published in Spanish and Portuguese translations. In retirement, Mr. Sablosky wrote a second book, What They Heard: Music in America 1852-1881 (Baton Rouge: Louisiana State University Press, 1986), and continued to lecture widely in Europe on American music under USIA auspices. He was a popular discussion leader at the Institute for Learning in Retirement at American University 1997-2004 where he offered a number of courses including “Form and Feeling: the Mystery of Music” and “The Enduring String Quartet.” He also volunteered for some twenty years at Recording for the Blind and Dyslexic (now Learning Ally). In addition to his devotion to music, he was an accomplished poet and avid photographer. Irving Sablosky is survived by his wife of thirty-three years, Juliet Antunes Sablosky, six children and twelve grandchildren. Mr. Sablosky’s marriage to Miriam Miller, mother of daughters Hank Phillippi Ryan and Nina Freije, ended in divorce. Patricia Breen Sablosky, his second wife who shared his Foreign Service career, died in 1981. Their four children are Roy Sablosky, Mairi Breen Rothman, Lia Breen Falls, and John Wally Sablosky. His grandchildren are: Emily, Noah, Linnea, Zachary, Sarah, Michael, Emma, Solomon, Mountain, Joseph, August and Annabelle. Most importantly, Irving Sablosky leaves a legacy of people who benefited from his commitment to nourishing and supporting goodness, curiosity and humanity in every person he met. Frank Anthony Chiancone, 83, a retired USIA FSO, died January 2. He lived in Washington, DC. During his 29 years with USIA, his assignments included Uruguay, the Dominican Republic, Ecuador, Pakistan, Mexico and Barbados. In retirement, he worked as an administrator of St. Stephen of the Incarnation Episcopal Church, and a volunteer child advocate. His passions included tennis and squash, which he continued playing into his 80s. Mr. Chiancone served in the Army during the Korean War. Arminta Burns, 78, the widow of USIA FSO John Burns, died February 7. She lived in Lantana, Florida. Ms. Burns had lung cancer. She accompanied John on overseas postings that included Thailand, South Africa, Zimbabwe and Ethiopia. In semi­-retirement, Ms. Burns worked at Lantana Public Library. Ed Scherr is member news editor for PDAA Today and former obituary writer at the Washington Star.